Mini Daffodils are very cheering. We’ve just endured yet another winter storm, with days of blustery cold winds over 70 km/hour resulting in extended power cuts – all this plus the time change! 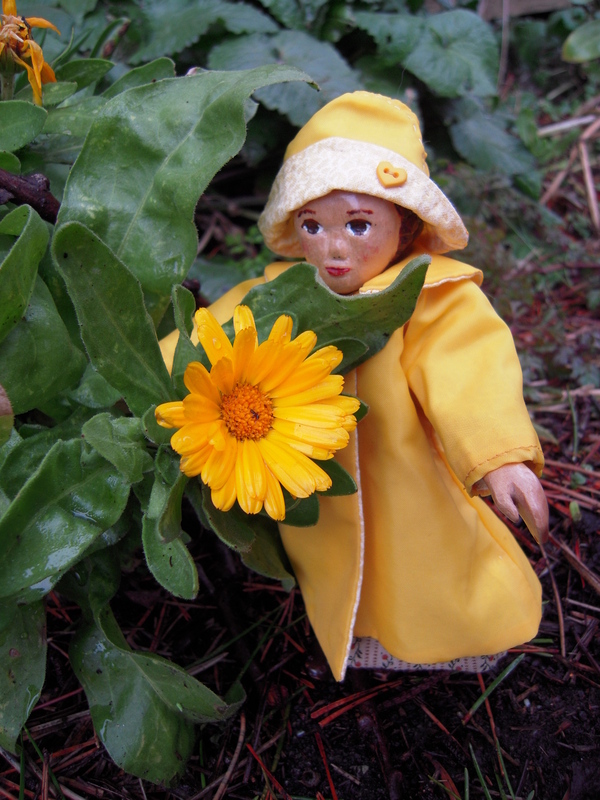 As soon as the wind dies down Constance gets out in the drizzle – she is on a quest to find as many yellow flowers possible! She wants to be reminded that sunnier days are just around the corner! The Winter Jasmine is almost over. A couple of little Wallflowers. Her quest seems successful. Love the bower – who wouldn’t want that! She really enjoyed the yellow flower bower! so fresh! thank you for all of the YELLOW! Sunny days are coming soon! We are keeping hopeful and continuing to look for flowers! That is a great picture! Her expression is so cute. 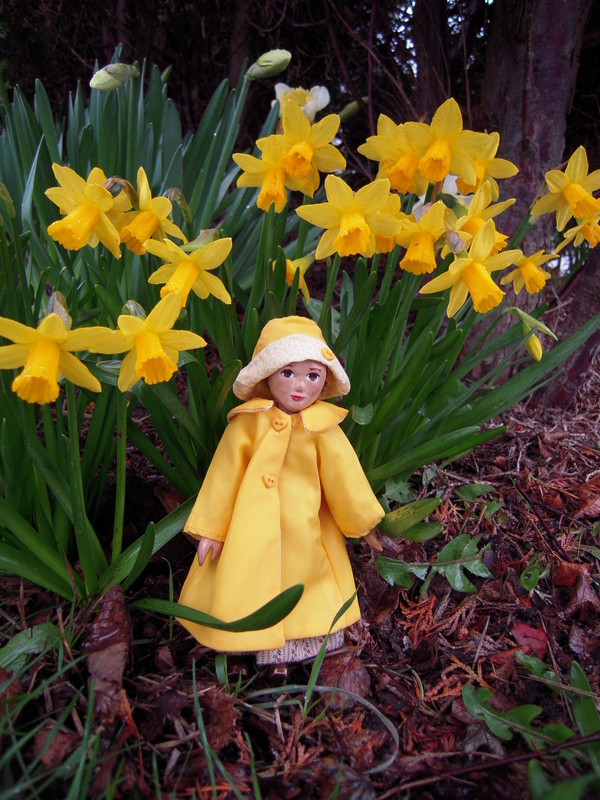 Love the raincoat and hat – was that from a swap from last year? Your daffodils are great. We had snow today. 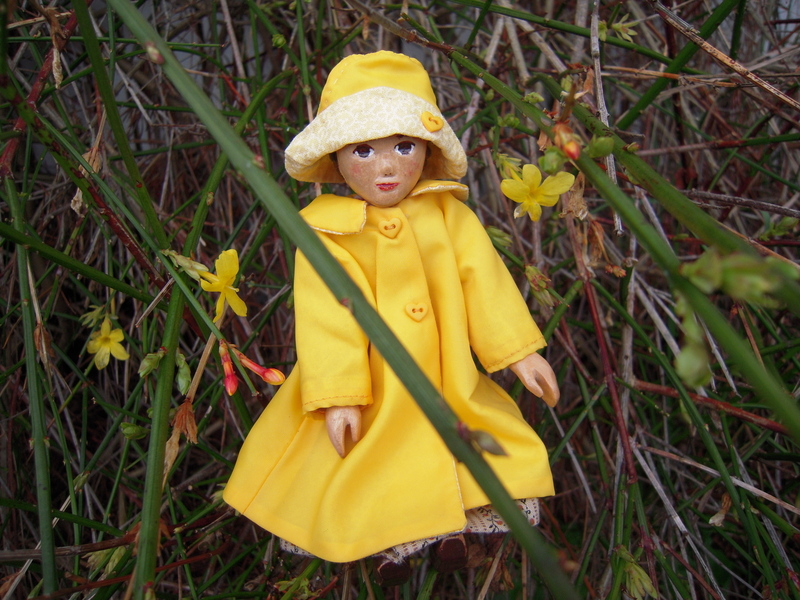 This Raincoat and Hat were received from a kind Hitty friend in a swap last year – we were caught in a snow flurry too on the way home from the Forsythia Bower, drat! Love the daffodils and all the pretty yellow flowers. 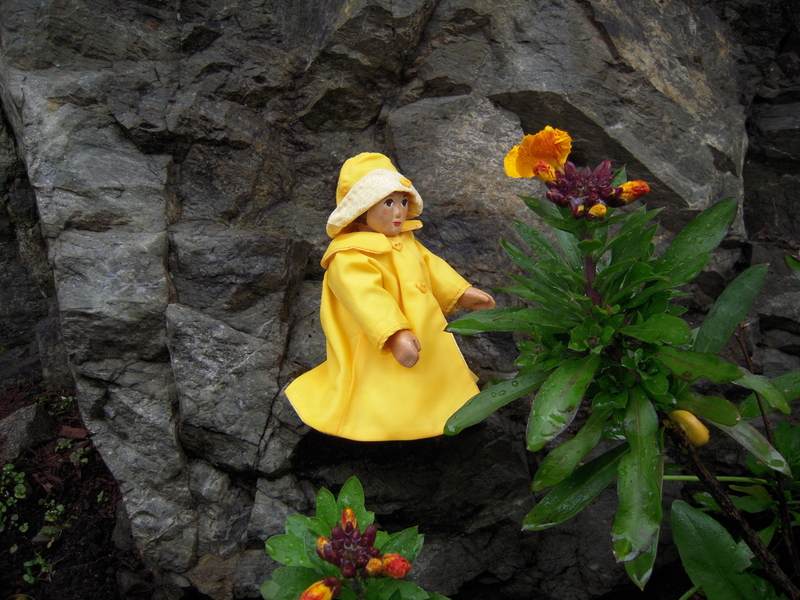 Tansy look sweet in the yellow raincoat. 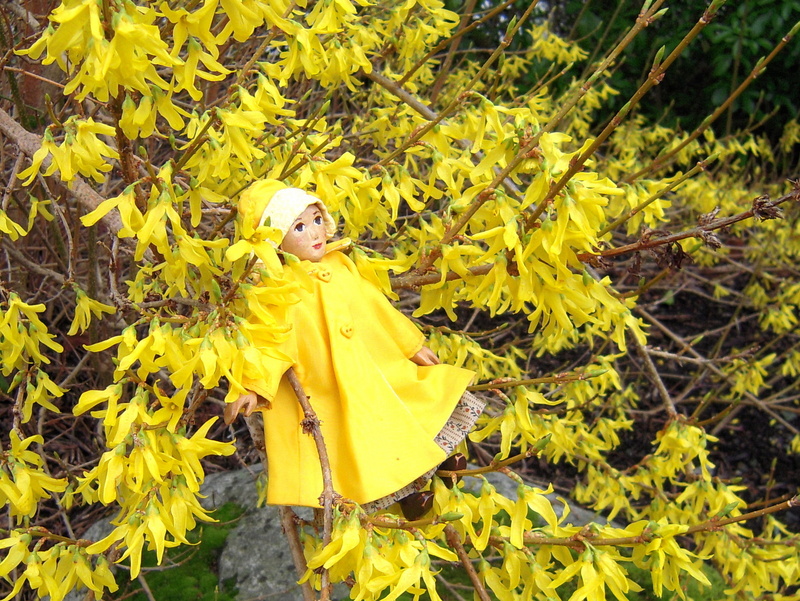 Hope the severe winter days are over in Canada, so that Tansy can look forward to nice summery days. Another wind storm today, but the power is still on at the moment. I guess we are still in the “in like a Lion” part of March! Oops, I said Tansy – It is Constance. Sorry little girl !!!!! Not to worry, Tansy doesn’t mind, neither does Constance. Thank you Constance for the reminder that spring is almost here! You are welcome! We love yellow flowers!